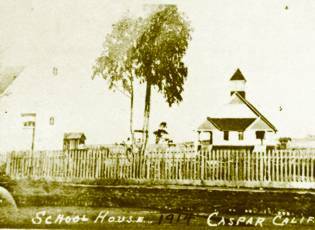 Schoolhouse in 1914 without its South Room. This photo is borrowed from Caspar Calling, by Ann M. Connor in collaboration with Mabel Johnson. 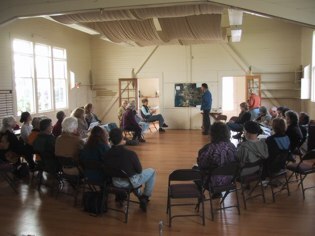 Mike Dell'Ara explains the current status of planning collaboration with Mendocino County. 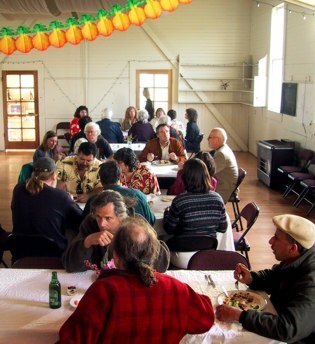 After a delicious dinner, The Lost Coast Marimba Band and Kevin and the Coconuts had a full house dancing.